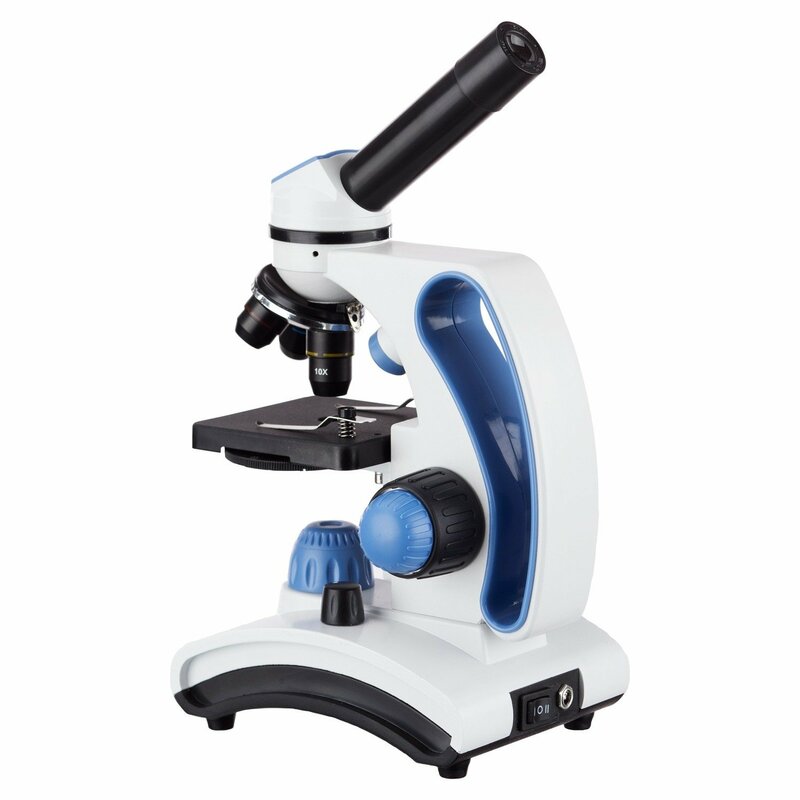 This versatile, dual-light microscope functions as both a high-powered, transmitted-light microscope for viewing microscopic specimens, in addition to a low-powered, reflected-light microscope for viewing larger objects, such as leaves and bugs. 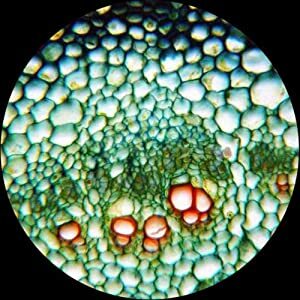 The lower light can also be employed for incredibly high-detail viewing of ultra-small, translucent specimens like cells, and even the vascular systems of thin leaves. 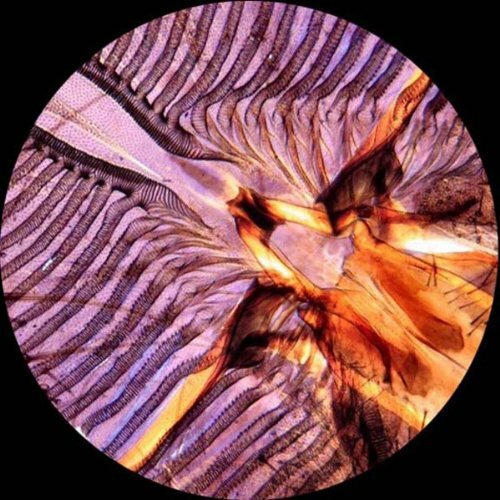 And for more-opaque objects, like stamps, sand, or insects, the higher light provides reflected illumination. In all, the microscope offers five magnification settings: 40X, 100X, 250X, 400X, and 1000X. A 10pc slide kit is included, with five biological specimens and five blank slides, to offer the user a head start. 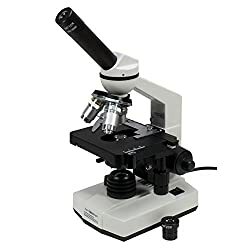 Designed for students to be told science for years of continued observations, it has full optical glass elements, metal framework, two eyepieces (10X and 25X), 360 degree rotatable monocular head, and coarse & fine focusing. 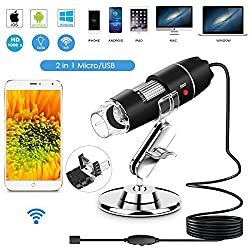 The sunshine sources use either an outlet (adapter included) or three AA batteries (included). 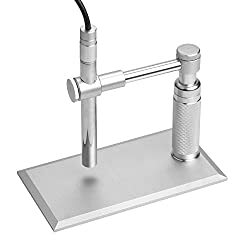 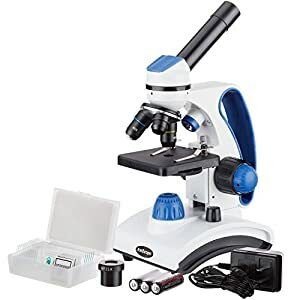 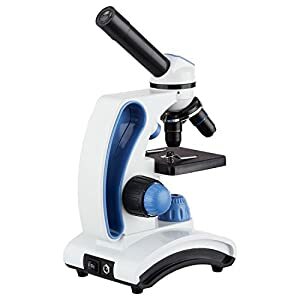 This microscope is best for academics in home school for students in elementary to school. 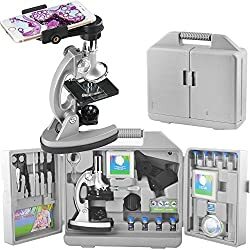 It comes modern in a factory sealed box with a retail value of $450.